Looking to read more by me or about me beyond the confines of this blog? Say no more. Below: links to my books and articles as well as a few interviews, mostly in relation to open-source Judaism and the Open Siddur Project. In graduate school, I had the fortune of taking a course on planned communities, ie., intentional communities such as Shaker Village, Kentucky and New Harmony, Indiana, as well as factory towns like Benham and Lynch in the Appalachian valleys of Eastern Kentucky. 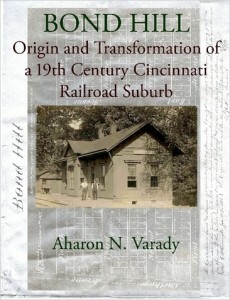 Later on, while investigating the origins of a neighborhood nearby where I grew up in Cincinnati, I was amazed to discover that it had first been developed as a teetotalling housing cooperative. One of its founders was a freethinker and reader of Charles Fourier, an early philosopher of socialism. This discovery led to a full blown thesis project and, after graduating, a book chronicling the planning history of the Bond Hill neighborhood. 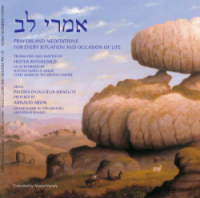 Imrei Lev אמרי לב (Statements of the Heart) Prayers and Meditations for Every Situation and Occasion in Life is an English translation of אמרי לב Prières d’un Coeur Israelite, a collection of prayers intended to be used as a companion to Jewish ritual compiled by Arnaud Aron, grand rabbi of Strasbourg and published in 1848. The translation from the French by Hester Rothschild was authorized and approved by Nathan Marcus Adler, chief rabbi of the British Empire (1845-1890). Long out-of-print, this new edition of אמרי לב in English provides comprehensive citation references, a new layout, and original prayers by Rosa Emma Salaman not included in earlier editions. All proceeds from the sale of this edition benefit the open-source, digital humanities project that spawned this work: the Open Siddur Project, opensiddur.org – sharing Jewish liturgy and related work for the crafting and print of new siddurim and related books. 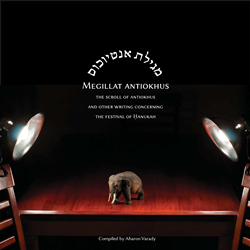 This new edition of the 2nd century CE Megillat Antiokhus, the Scroll of Antiokhus, presents Menaḥem Zvi Kaddari’s critical edition of the Aramaic text, side-by-side with Dr. John C. Reeve’s scholarly translation in English. A medieval Hebrew and pre-war Yiddish translation are included with these. This is the first time that all of the original Aramaic has been set side-by-side with completely vocalized Hebrew text, Yiddish, and English. The book also contains prayers, blessings, songs for Ḥanukah, relevant source texts from Midrash, Talmud, and selections from pseudepigraphic writings that highlight less familiar aspects of the festival in its relation to other celebrations of the winter solstice. All proceeds from the sale of this edition benefit the open-source, digital humanities project that spawned this work: the Open Siddur Project, opensiddur.org – sharing Jewish liturgy and related work for the crafting and print of new siddurim and related books. “Learning Virtually Everything About Your Park,” (Peter Harnik and Aharon Varady, Parks & Recreation, National Recreation and Parks Association, September 2005). This article grew out of another research for Peter Harnik at the Center For City Park Excellence where we were looking for park maps prepared by the park departments of the 55 largest cities in the U.S. While visiting all of those city park department websites, I thought I might as well index what other data they were making available and comment on who was communicating to the public more effectively than others. “The Potential and Promise of Open-Source Judaism” (interview by Alan Jacobs for The Atlantic Magazine July 2012). “How Jewish nonprofits can save the world and themselves with open-source sharing strategies” (presentation before the Future of Jewish Non-Profits Summit, July 2010). A full list of personal contributions of text and art to the Open Siddur Project can be found here. 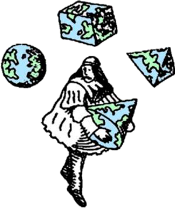 A full list of papers from graduate school is online here.